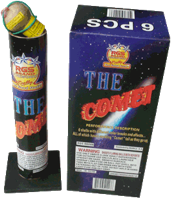 EXPERIENCE TRUE 60 GRAM SHELLS! 24 SHELLS WITH 4 PROFESSIONAL TUBES! MAXIMUM LOAD ALLOWED BY FEDERAL LAW! A MUST FOR JULY 4TH!